Good quality leather and suede boots, whether for work or for fashion, are an investment. Taking time to waterproof your boots protects them from the elements and will add years of life to the boots. Waterproofing your leather boots takes a little time and effort. Even boots already pretreated by the manufacturer will benefit from a yearly at-home waterproofing. How Often Should You Waterproof Your Boots? Experts recommend waterproofing boots at least yearly. Boots that are advertised as waterproof are actually pretreated with a water-resistant coating. This coating was never meant to be permanent. If you wear leather boots daily, or under harsh weather conditions, you should check them monthly to make sure the leather is not absorbing water. To check your boots, sprinkle some water on them. If the water beads up, the waterproofing is fine. Boots made of suede or nubuck should be checked after each wear for any sign of dirt or water stains. 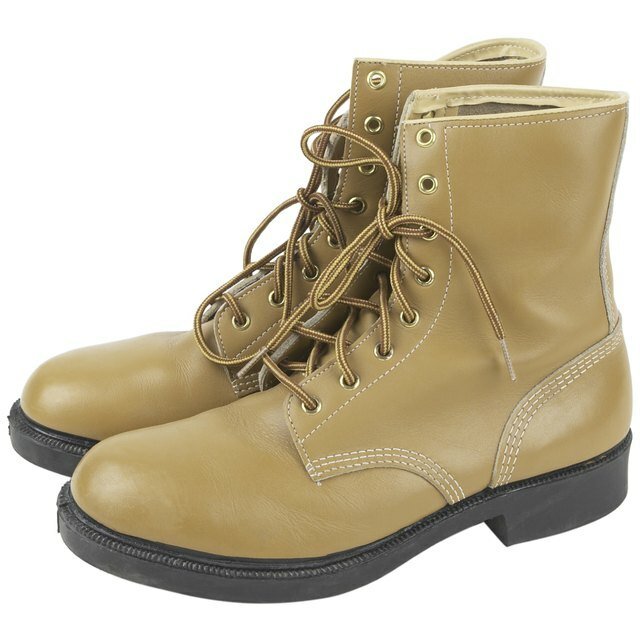 Use a soft cloth and a leather cleaner to thoroughly clean the boots. Make sure to remove all dirt, oils and salt residue (from rock salt) from the surface of the boot. Next, condition the leather with mink oil, rubbing it in with a soft cloth, to keep the leather supple and prevent it from drying and cracking. Using a soft cloth (a cloth diaper works well), apply a generous coat of beeswax to each boot. To allow the beeswax time to soak into the leather, leave the wax on the boots for at least eight hours or overnight. Remove the excess beeswax by wiping it off with a soft cloth. Suede is a specially treated leather that is sanded, brushed or napped, creating a soft, textured surface. Nubuck is an expensive, buttery-soft leather often used in very high-end leather sofas and chairs. Nubuck's softness and durability make it an excellent material for boots and jackets. Water and dirt will stain both these leathers. Extra attention is needed to prevent the elements from discoloring boots made from suede or nubuck. Do not use a cloth to wipe the boots. Use a rubber-tipped or plastic brush to wipe off dirt. Use a spray-on waterproof product specifically designed for suede or nubuck. Do not use beeswax or products designed for regular leather boots as these products will permanently discolor nubuck or suede. Because boots made of these materials can stain so easily, the waterproofing product can usually be reapplied after each wearing. Wise Geek: What is Nubuck?